These are all the famous Ms. Cricket quotes, till this day they still play in my head, and I chuckle to myself when I’m sitting in the waiting area for my kids and hear these is the distance. Many moons ago I started with Crickets Preforming Arts, after changing dance homes several times I found my forever home at Crickets where I danced from second grade till my senior year of high school. Cricket’s was my home away from home spending most of my weekday time there. I always knew my dance family would be there when I needed support or a shoulder to cry on. I enjoyed dancing as child and had the dream of becoming a professional dancer. In my later years of dancing when I realized I would never make the cut for a professional dancer I still keep dancing, because I looked at dance for all the other things it had to offer me. Not only was it just dance in general, but it was Ms. Cricket as well. She taught me how to have grace, never give up, that hard work pays off, determination, follow your own path, goal and dreams. Cricket’s helped to shape me into the person I am today. 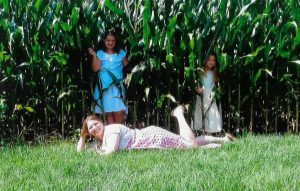 Five years ago I returned to Cricket’s Preforming Arts with my daughters Mya and Hailey. Walking up the billions of stairs, smelling the scent of Subway it was a fast reminder that Cricket’s had so much impact on my life, and I hoped the same for my kids. In the several years I was gone from Crickets not much at all has changed. The lay out has changed slightly, new teachers, and we now call” Ms. Debbie” Ms. Cricket. I sometimes slip and my girls will be fast to correct me in saying “Mom her name is “Ms. CRICKET.” I picked Crickets Preforming Arts out of all the other dance schools in Lancaster County, simply because of its way of making each student feel like family. My hope was that dance would be one of the many stepping stones in helping to shape my daughters into brave powerful women. I’m starting to see this unfold in front of my eyes as the years go on in there dancing journey with Crickets. My daughter Mya who is ten, use to be shy, she is now coming out of her shell and blossoming before my eyes. Cricket’s is teaching her the core values of grace, strength, and determination. She is not only starting to apply these to dance, but in her school work, and everyday life. Hailey is eight, she is my energizer bunny. Ms. Cricket knows how to get her to tame herself down and focus, and keep trying because it will come sooner or later. Hailey enjoys seeing Ms. Cricket each week and talks about her class from week to week. As the years go on and my daughters grow in dance, I am now the mother at the store pushing her cart and her kids are dancing down the aisles, I now know how my mother felt as they sometimes knock things over. When my mother enrolled me in my first dance class when I was five years old I don’t think she could have imagined the immense impact that it would later have on my life. Being a dancer has played a large role in shaping me into who I am today and has blessed me with so many opportunities and experiences. The joys of being a dancer are limitless, from the lifelong connections I’ve made, to the skills and strengths I’ve picked up, and the fond memories I will always be able to look back on. My name is Emily Kreider, I’m a Communications and Media Studies major about to enter my junior year of college, and I am an alumnus of Cricket’s Performing Arts. I was a dancer at CPA from five years of age all the way until my senior year of high school, and even today I reap the rewards of having graduated from such an incredible dance school. I am so grateful for the years which I was able to spend at CPA, and I look back on my dance experience with immense appreciation. 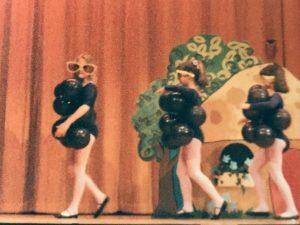 As said before, I started dancing at Cricket’s Performing Arts from a very young age. 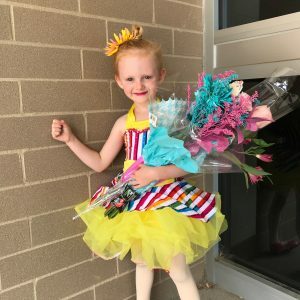 Picking up dance at an early age proved to be very beneficial, as I was able to develop a stable foundation upon which I could build greater skills and talents. 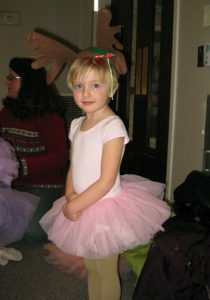 The youngest students at CPA generally start in a “teeny tiny” class or a combo class which studies ballet and/or tap. This is a critical learning period in a dancer’s life, as it will give them the building blocks necessary to learn other styles as they get older. It was at this young age that I met Cricket Winchell: my first dance teacher and the owner of Cricket’s Performing Arts. I found in her an incredible role model and an amazing instructor. She is an influential educator in that she makes learning a very fun and enjoyable experience for her students. Cricket Winchell is able to capture the attention of her young audiences and engage them in valuable lessons and training sessions. 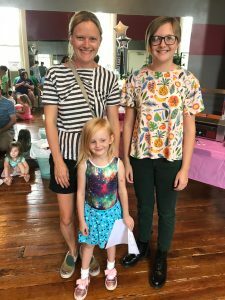 She successfully instructs classes of very young children with patience and focused guidance, expertly crafting lesson plans which continuously build upon what students have learned and challenging them to try new things. I am so thankful for having had her as my instructor at such a young age, because she provided me with the skills and knowledge necessary to successfully continue my dance career. As I grew up, Cricket’s Performing Arts provided me with many more opportunities. I expanded my knowledge of dance by taking a multitude of classes, such as jazz, tap, contemporary, pointe, and more. I also performed at many different events like recitals and dance competitions. But most importantly, upon reaching middle school I was granted the opportunity to take part in CPA’s work study program and to assist classes of younger students. As an assistant, I would be responsible for essentially helping the teacher in any way possible. This ranged from taking choreography notes, to warming up the class, to running exercises with students and so much more. It was as an assistant that I was able to develop leadership skills and step outside of my comfort zone in taking on responsibilities. I became more confident in leading a class and gaining the students’ attention. What’s more, I developed the fundamentals of learning how to break down steps and acquired the skills needed to effectively cater to students’ individual needs. Upon reaching high school, Cricket Winchell granted me the incredible opportunity to become a student teacher, and to lead my own dance classes. I started this experience in my freshman year by having Ms. Cricket in the room observing my class and giving me critiques and advice. Eventually, I was left to my own devices, and the responsibility landed on me to lead classes of students. This was a leap from simply assisting, but it was also something to which I could apply my assisting experience. As a teacher, I was in charge of writing lesson plans, developing warm up routines, running practices, and choreographing routines for the students. I look back on my years of teaching with immense fondness; those years were quite honestly some of the best of my life. I fell in love with teaching, and what’s more, I developed meaningful friendships and connections with my students that I will treasure forever. Teaching was beneficial to me in that I learned that there’s many different ways which students learn. Some learn best visually, some learn best verbally, and so on. It was up to me to build connections with my students and to instruct them in ways which would most benefit them. I absolutely adored teaching, and one of the hardest parts of graduating and going to college was knowing I wouldn’t be able to teach any more. Luckily for me, because of the incredible experiences I had with Cricket Winchell at CPA, I wouldn’t have to go without teaching for long. I joined Washington College’s dance club, which, after my freshman year, was in need of a new musical theater student teacher. I happily accepted the position. It has brought me great joy to continue instructing and choreographing, and I’m so grateful I can continue to do so. But that’s not all which my time at CPA has granted me. Being one of the more advanced dancers in the club I was chosen to be dance club secretary and to have the privilege of serving on the executive board. In addition, I was lucky enough to be selected for Washington College’s dance team (Sho’Troupe), which performs during the half times of sports games and at other shows throughout the year. Finally, there is one more story which I am so thankful to share. During this past school year I auditioned for and was cast in my college’s production of “Pippin”. We found out about casting before winter break, and we returned early in January before the beginning of classes to start rehearsals. Upon arriving back for rehearsals, the director shared some disappointing news: He had appointed one of the dance professors to choreograph the show, but due to unforeseen circumstances that professor could no longer do so. I was so disappointed; If you don’t know much about “Pippin”, it’s a show which relies heavily upon dance and visual performance. I had been so looking forward to learning new and exciting choreography. Then, I had a thought. I approached the director and let him know that I was a dancer, and that if he did want any choreography I might be able to come up with something. He gave me a chance and said to bring something in the next day. I arrived at the next day of rehearsal with only four eight counts up my sleeve. I taught it to the cast, and to my absolute delight, the director loved it. Not only did he want me to choreograph the rest of that dance, but he asked me to choreograph the entire show. Had it not been for my years of experience as an assistant and as a teacher at CPA there’s no way I would have been able to take on such a daunting task. But not only did I successfully choreograph an entire musical, I loved every minute of it. On top of it all, a lot of the cast members were students who had little to no dance experience, so not only did I have to develop and instruct choreography, but in some cases I literally had to teach people how to dance. Again, my background with teaching at Cricket’s Performing Arts was a tremendous help in allowing me to do so, and provided me with the skills necessary to take on such a responsibility. Overall, I am so incredibly grateful for the years I spent as a student at Cricket’s Performing Arts and for the many opportunities with which it has since provided me. Cricket Winchell has been such an influential figure in my life, because she challenged me to take on mature and responsible roles, and was patient with me in guiding me along the path of a dance instructor. The lessons which I learned at CPA will stay with me forever, and I know that I would not be nearly as successful nor as happy as I am today without the instruction which I received at Cricket’s Performing Arts.